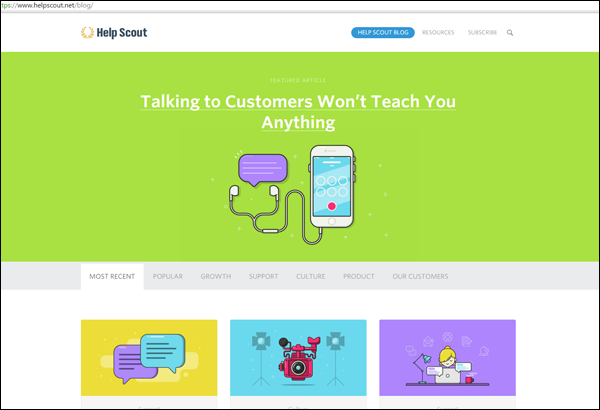 My name is Greg, and just like you, I always wanted to build a beautiful website for my business. 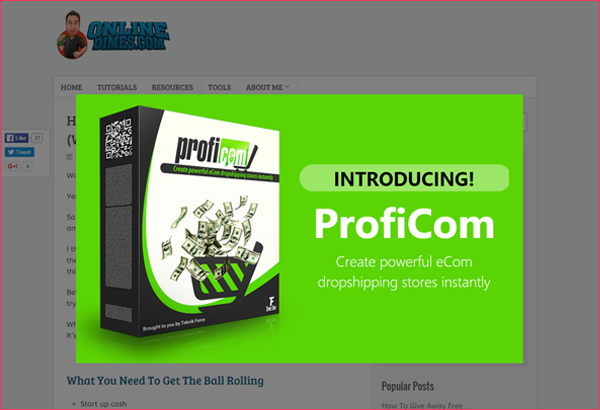 I knew that if I wanted to be successful online, I needed to be able to create optin boxes and banners for my websites. But with no technical skills and no way to do that, I felt pretty hopeless. So, I decided to code up my own optin boxes and banners from scratch, using hand-coded HTML. It was taking an awfully long time, and the results were usually really ugly. I knew I had to keep trying. I dreamed of a way to make my sites as beautiful as CNN, Yahoo, Wikipedia, Fox or Reddit. Because I knew that if I could get the same kinds of banners and optin boxes, I could capture more visitors from all the traffic I was getting. And that's how Sinfiltrator was born. 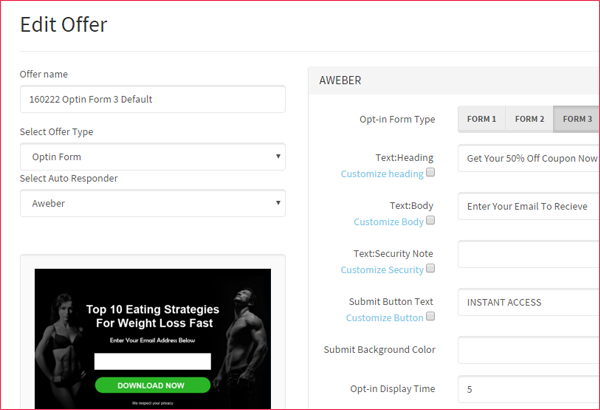 I paid a ton of money to develop a software that allows me to attach my banners (or optin forms, or anything else in the world) right on top of my website – in a TOTALLY automated fashion. And, as if I snapped my fingers, my website conversions doubled. And it's all thanks to Sinfiltrator. 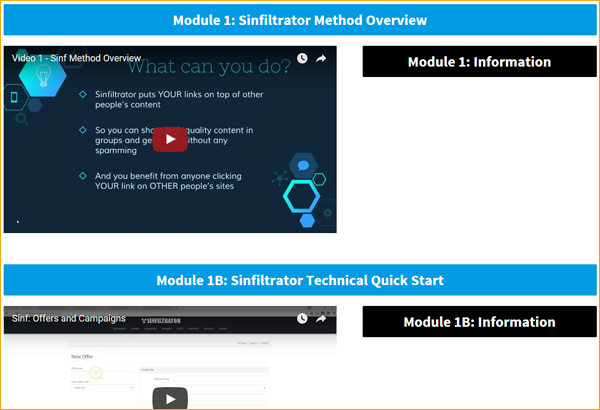 Since then, I’ve shared Sinfiltrator with a few students, and their results are just as extraordinary, they're able to create amazing and slick optin boxes, video boxes and banners instantly. 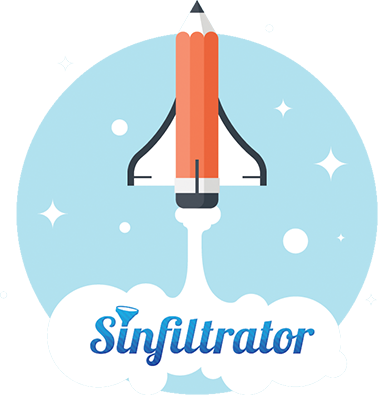 You don't have to have a website to get traffic or build a list with Sinfiltrator. Our system is fully hosted on our lightning-fast servers so you can skip the work of setting up your own site. Follow along step-by-step and don't miss anything in our extensive video training. Watching us do it live in front of your eyes makes it completely goof-proof. 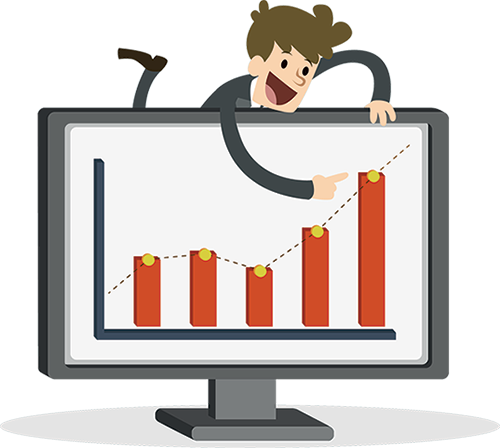 We are personally here to give you everything you need to do to start getting traffic and sales today. 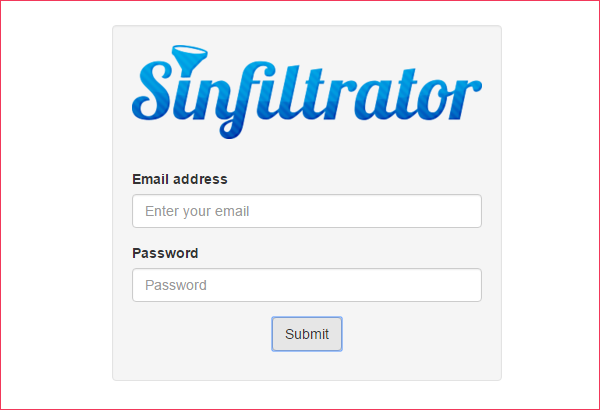 How to finally use Sinfiltrator to build an e-mail list of people who actually buy – with no product of your own, and no squeeze page. You don’t even need your own domain name. Grab your extremely discounted lifetime access to Sinfiltrator right now. All you’ll have to do is click your mouse one time and you’ll receive an immediate refund, no questions asked. That means the risk is on ME to prove that Sinfiltrator does everything I say it does… and I can’t wait to prove that to you. 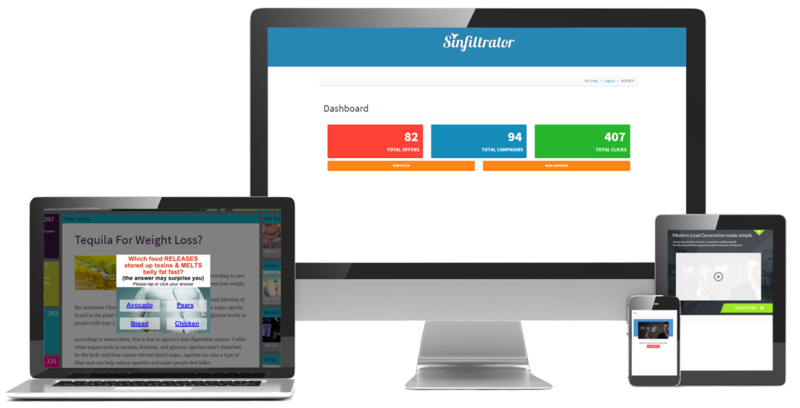 So click the button above to select your Sinfiltrator package (I highly recommend the “unlimited links” special because it is a great deal) with confidence and peace of mind. 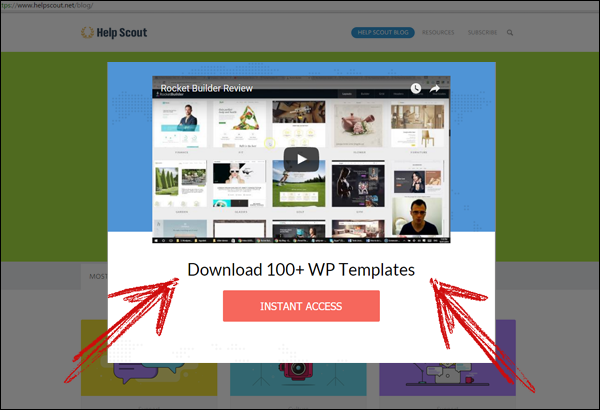 Buying this software means you understand that you must seek consent from the owner of the website before you overlay your call to action on top of it. 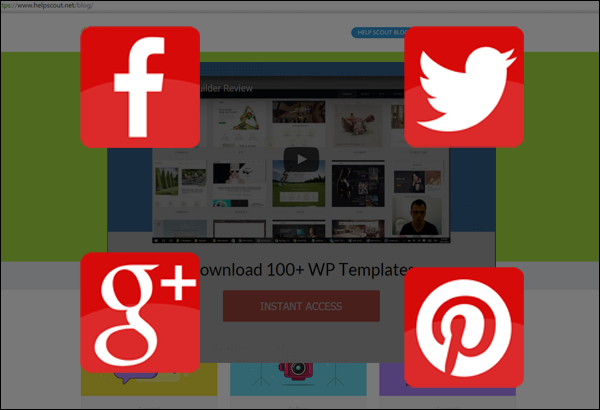 Do not use this software without the consent of the owner of the content. These instructions are provided in the training videos.